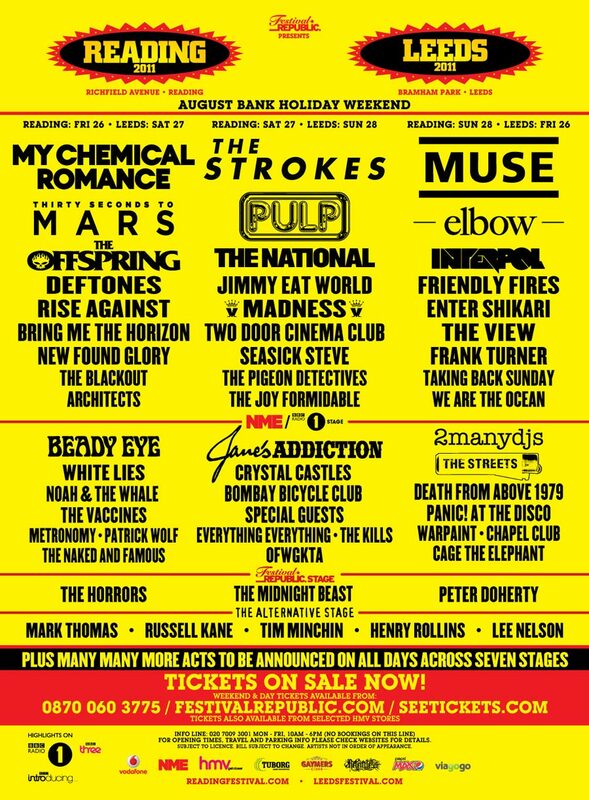 The first bands have been announced for Reading/Leeds 2011. 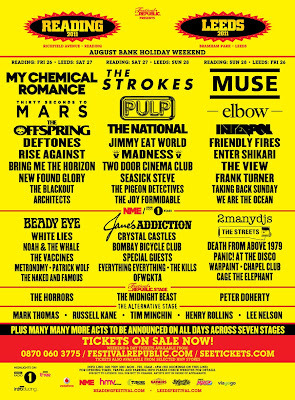 My Chemical Romance, The Strokes and Muse are the main stage headliners. Tickets are available via www.seetickets.com. Weekend tickets cost a whopping £192.50, plus booking fees and postage. Car parking is £5. That's one hell of a lot of money for what looks like one of the weakest line-ups in living memory.